I’m an academic based in Seattle. I’m a Lecturer in the Department of Near Eastern Languages and Civilization at the University of Washington and an Adjunct Associate Professor in the Humanities Division at the University of Maryland University College. I work in the field of Digital Humanities (DH), an emerging and evolving discipline which is redefining how we work and present the results of our research in the humanities. I’ve developed college courses and seminars in DH for undergraduate and graduate students, using archival material from Nile travelers and excavators as the basis for creating encoded texts, databases, digital maps and visualizations. I have a Ph.D in Egyptian art history, and my research and teaching specialties in this field include the art, archaeology and history of Ancient Egypt and broader Ancient Near Eastern cultures. My current research focuses on the history of Egyptology in the so-called ‘Golden Age’ at the end of the nineteenth and beginning of the twentieth centuries, prompted by a visit to the Met in New York several years ago when I first read the Nile travel diaries of Mrs. Emma B. Andrews. An offshoot of my DH work was the founding of Newbook Digital Texts in 2012 with my colleagues Walter Andrews and Mary Childs. Our mission is to further the advancement of DH as a field in order to foster much needed technical skills in graduate and undergraduate humanities students. Our work exemplifies the new hybrid model of rigorous training in the core skills associated with historical and literary research coupled with essential competencies in computer literacy. To date, we have worked with over 150 students from more than 33 departments at the University of Washington in our Newbook internship program. If you’re interested in working with me, drop me a line. I’m available to help brainstorm your DH project, and identify the best solutions, platforms and technologies to work with your data and build for long-term sustainability. Read more here. 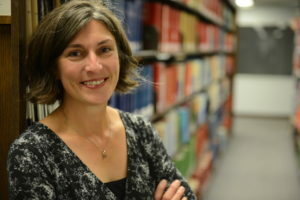 Dr. Sarah Ketchley’s experience as an academic digital humanities expert makes it easy for her to quickly de-mystify the process of incorporating digital tools for faculty, graduate students, and undergraduates. She understands the problems academics face and can taylor her advice to anyone’s particular situation.